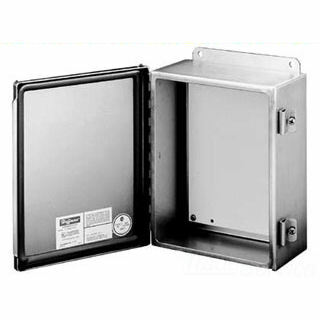 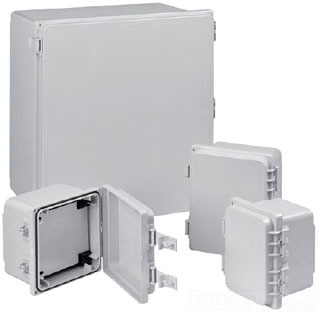 Dimensions 10"" x 8"" x 6"
Application The efficient design and simple construction of these enclosures make them durable in corrosive environments, yet aesthetically pleasing. 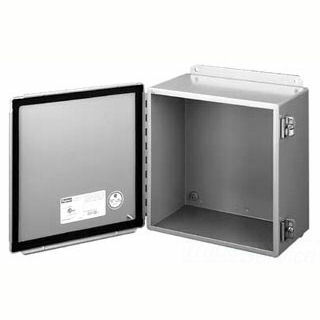 Corner latches provide unobstructed access. 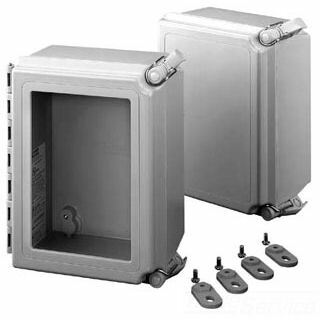 The continuous hinge provides a secure seal, and double latching creates added security.